His name is Rich Brager. His effort is below and shows how shallow his understanding of the issues is. My first smile was his credulous belief that scientific fraud is "pretty rare". I wonder how he explains that in both psychology and medicine up to two thirds of all findings have recently been found to be unreplicable? The level of fraud may vary but its frequency shows that treating scientists as an authority is naive. The only authority is the facts. "They learn by failure. They formulate new ideas based on their previous test results. They hone and fine tune their ideas until they can achieve success"
But Warmists don't do that. They have a theory they stick to come hell or high water. Take their basic theory that increasing levels of atmospheric CO2 lead to increasing global temperatures. So from 1945 t0 1975 when CO2 levels rose strongly, global temperatures rose strongly too. Right? But they didn't. They were effectively static for all of those 30 years. Some people call it the "long hiatus". So how do warmists explain that stark contradiction of their theory? They don't. They just mumble "special factors" and go on as if nothing to disturb their theory had happened. It is a normal scientific courtesy for scientists to make their raw data available to other scientists so other scientists can re-analyse it and (hopefully) show that the analyses done by the original author were correct and adequate. New analyses could even reveal new insights not picked up by the original author. But Warmists NEVER do that. They refuse point blank to make their data available to others. That immediately evokes supicion that their data may not show what they say it shows. And on one occasion when some very important data was left lying around where skeptics could access and analyse it, the whole "hockeystick" edifice built on it collapsed. They have good reasons to hide their data. Mr Brager clearly needs to do some reading. He could start by googling "unreplicable findings"
Science deniers seem to be everywhere. You can read about them in the papers virtually every day. They are in the news all the time. Unfortunately, the Trump administration has assigned a disproportionate number of jobs requiring scientific knowledge to science deniers. Very sad, very dangerous. What are they denying? The topics include climate change, evolution, vaccination as well as a number of other topics. So why are the deniers deniers? Of course, there is no single reason. They often cite instances where scientists were fraudulent with their scientific information. Since scientists are also human, this does happen sometimes but fortunately, it is pretty rare. Sometimes they say that the scientists have just made errors in their scientific analysis. This can also happen, but many non-scientists just don’t really understand how science works. Scientists learn by pushing the envelope of knowledge and by testing their ideas. They learn by failure. They formulate new ideas based on their previous test results. They hone and fine tune their ideas until they can achieve success. I think many science deniers are very selective in their denials, almost hypocritical. They agree with and love science every time they go to their garage and start their modern car. The science that goes into designing and manufacturing a modern car is borderline unbelievable. You name it, it is there: material science, chemistry, thermodynamics, electronics, robotics, anatomy (think driving position, location of controls), physics, etc., etc. And they all work together so seamlessly that you don’t give it another thought while you commute to work. And you science deniers could care less about the science that goes into your cell phones, GPS’s and microwave ovens. They all work “like magic”, but they are not magic. They are science at work. And work they do. So do scientists of different stripes (physicists, chemists, weather scientists, biologists, etc.) go about their work in completely different ways? Although their fields of study may differ wildly, their scientific methods are remarkably the same. They design their tests, gather their data, review their data, rerun tests as necessary, use statistical methods in analyzing their data, search for similar research by others, present their finding to other experts. Final reports are peer reviewed and critiqued. New and amazing findings are made. So let’s pick on climate change deniers for a second. Do you think climate scientists are dumber than automotive scientists? Do you think their techniques are inferior to cell phone scientists? Or is your own understanding of climate science just not as good as your understanding of how your cell phone works? Or just because your political party needs to support big energy, climate change shouldn’t be real? Or what? Please help me understand. Comment from a reader: This has got to be one of the screwiest posts that I have every read ....and to think it was published by a Mechanical Engineer. He truly misses a single most important point....the people promoting man-made Global warming have not performed a single scientific experiment that demonstrates that CO2 will cause the temperature of the atmosphere to rise and if one should take a look at the last 50 years a true scientist would conclude that CO2 either has little or no effect. All that I have seen is the pointing at all kinds of false findings and claiming these to be evidence of global warming.....rising sea levels, glaciers melting, loss of polar ice, polar bear demise, more violent storms, droughts, crop failure, insect migration, disease, correlation of temperature to CO2 concentrations, and on and on. Any scientist would take a step back at the failure of any of these prediction to come true. They always have done -- on case by case arrangements. Some good fishing grounds are remote from Australian fishing ports so are "under-fished". In those cases selected foreign boats that comply with Australian crewing and other standards are allowed catches by the Australian government. The suggestion, backed by conservationists, has been rejected by the government as "unsubstantiated scaremongering". However the Australian Fisheries Management Authority says some waters are being under-fished and they are in talks with several operators about allowing foreign boats to operate in Australia's fishing zone under existing laws. The Turnbull government has proposed changes to the 3.3 million square kilometres of Australia's protected offshore regions, allowing commercial fishing in a host of sensitive marine areas. Dr Quentin Hanich, head of fisheries governance research at the University of Wollongong's Australian National Centre for Ocean Resources and Security, said many of the proposed changes were in distant waters far from port and "it had never been profitable for the fishers to go there". "But if you allow cheap distant-water vessels to come in ... those vessels won't come into port. That combined with subsidised fuel, a $1000 annual wage and a whole bunch of problems with the way they treat their crews means they have incredibly low costs and can fish those remote areas," he said. "Not only does that undermine the protection of those conservation values, it will return incredibly little benefit to Australia." He believed the government's proposed weakening of protected marine areas was based on "hypothetical future changes in Australian regulations on foreign vessels [that] may enable industry to reduce business costs and fish in these previously economically marginal zones". AFMA confirmed it has been in "discussions with a number of operators this year about deeming boats to be Australian across several fisheries". At a Senate estimates hearing in October, AFMA chief executive James Findlay said there was "significant underfishing ... going on in a number of quota-managed fisheries." "We're only taking about half of the quota that we've scientifically demonstrated is sustainable. Understandably, quota holders are looking to explore opportunities to harvest that quota ... they're looking at opportunities on the global market to bring in cheap capacity," he said. However Pew Charitable Trusts oceans director Michelle Grady insisted the "ambition of the tuna industry to see very deep water remote areas fished" was driving the marine park changes. Water Resources Minister Anne Ruston said such claims had "no substance". "Of course it is not the intention, nor has it ever been the intention, of the government to allow foreign fishing vessels to fish in Australian waters as a result of changes to marine park zoning," she said. Tuna Australia chief executive David Ellis described as "absurd" the claim that the Australian fishing industry required foreign vessels to access fishing areas, and said Australia was "recognised worldwide as a leader in sustainable fishery management". Maritime Union of Australia national secretary Paddy Crumlin said cheap foreign labour "results in a race to the bottom rather than decent wages for all", and unions would fight any such move in the fishing industry. Boston is in the heart of Yankee country where the descendants of Puritans still think they know best what is right for everybody. They are of course a Democrat stronghold. 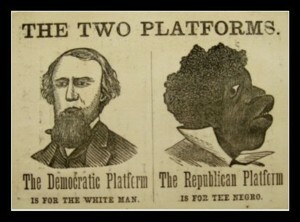 So of course they believe in racial equality. That commitment to racial acceptance provoked the powers that be at the "Boston Globe" to do an extensive set of surveys to find out how well blacks in Boston were in fact accepted. Did a belief in racial togetherness translate into action? Did the deeds of Bostonians reflect their avowed beliefs? THAT BLACK people find Boston racially inhospitable isn’t news. While angry white faces standing between a black child and a schoolhouse door does not represent the city today, Boston isn’t any more inclusive for black people now than it was during its rancorous busing era four decades ago. In its seven-part series “BOSTON. RACISM. IMAGE. REALITY,” the Globe’s Spotlight team outlined the indelible stain of racism on Boston’s reputation. It also painstakingly detailed how that mark has deepened and hardened over time. As Boston enjoys an economic boom, black residents still find themselves segregated in housing, schools, and even hospitals, and excluded from boardrooms, job opportunities, and political power. Racism is nimble. It shape-shifts away from the most obvious, headline-grabbing horrors, allowing those in corridors of power, as well as ordinary white people, to insist things aren’t as bad as they used to be. And, in the most superficial sense, they aren’t. Still, such facile readings ignore how racism burrows in, normalized and equivocated, until it becomes just another accepted part of our landscape. Its toll on Boston’s black community is immeasurable. Yet the price for a city that considers itself world class is also unacceptably high. For all its achievements, pervasive racism forces Boston to operate with one arm tied behind its back. No city fully realizes its potential unless it makes the most of what political leaders like to call its “human capital.” Those are the people who, given an opportunity to do so, share their singular talents and vision to help stamp a city’s identity. With its many esteemed colleges and universities, Boston has always been in a unique position to welcome fresh young minds into the city every year and make its case that this city is more than just an academic destination. With black college students, even getting them to come to Boston is difficult. Few want to confront what they see as entrenched racism. The Spotlight team found that African-American enrollment in Greater Boston area universities was less than 7 percent in 2015. That’s significantly less than other major metro areas; nationally, the average for black enrollment is 11 percent. This could be a refreshing infusion of young black people, some who might stay to establish a real black middle class in Boston. Instead, they won’t even step foot in the city. When they come at all, many black college students leave the city as soon as they have their degree in hand. For many, four years in Boston is enough, and greater opportunities, they believe, lie in such places as Atlanta, Philadelphia, or Chicago. These cities also have their own persistent issues with racism, yet present more opportunities and cultural balance. It’s a sentiment passed from one generation to the next. Black people who move to Boston are often warned by their families to reconsider. And when black friends visit, they are usually struck by what looks like Boston’s overwhelming whiteness. As the Spotlight series pointed out, Boston has worked to ensure that the city does not slip back into the tragic errors of its troubled past. Mayor Martin Walsh has sponsored public conversations about race, but there’s still not much of an indication how that talk will be translated into action. We’ve long since answered the question about whether Boston is racist. The question remains how best to address that fact. Leaders often speak of diversity, but it’s ardent inclusion that allows cities to thrive. Right now, Boston is failing to utilize to the fullest 23 percent of its population. Nor is it doing enough to convince black professionals that this city welcomes what they have to offer. Boston is a fine city, but systemic racism continues to bleed us of black talent, innovation, and the cultural spark that turns a good place to live for some into a great place to live for everyone. And the media were amazingly silent about it. They criticized a few minor details but ignored the Christian invocation as far as I could see. Maybe they were wary of antagonizing Christians -- JR. The guff below could have been written by a Nazi writer. Nazism also had a romanticized vision of a marvellous small-farmer past. Some people will never learn. "The industrial food chain is using at least 75 per cent of the world’s agricultural land and most of agriculture’s fossil fuel and freshwater resources to feed barely 30 per cent of the world’s population. Conversely, more than 500 million peasant farms around the world are using less than 25 per cent of the land – and almost no fossil fuels or chemicals – to feed 70 per cent of humanity." It is one of the sillier attempts to lie with statistics. It makes no mention of HOW MUCH food different farming systems produce or how much effort goes into producing it. It may be true that 25% of the land feeds 70% of the people but it does so only via back-breaking labor that leaves little time for anything else and in the end provides on a bare minimum of food most of the time. For the rest of the time it produces famine. It is no model for any sane person. The continuity between Hitler's Nazism and modern-day eco-Fascism is amazing and disconcerting. The whole point of Hitler's "Drang nach Osten" was to secure "Lebensraum" for Germany. Hitler felt that Germans were in danger of starving unless he seized Russian farmlands to feed them. And the Greenies today continue over and over to predict food shortages unless we return to a primitive past in which lots of inferior people are killed off. It's a recurrent theme but the latest exponent of the theory is George Monbiot, a "Guardian" columnist. Maybe George could think of nothing else to write so fell back on something out of the Warmist catechism. To make his argument, he lists a whole lot of things that SHOULD be reducing food production. ACTUAL trends in food production he does not consider. And the actual trends are very clear and consistent: Food production keeps rising -- to the point where many basic crops are in glut. There is so much food that prices have been pushed down to historic lows. Once upon a time poor families had to struggle to put food on the table. Now food is so cheap that the only worry is whether your income can support your drug habit. So, by using normal extrapolation, food will tend to become more plentiful, not less. Farmers do face challenges but with the aid of modern science and technology, they mostly rise well above those challenges. The next constraint is temperature. One study suggests that, all else being equal, with each degree celsius of warming the global yield of rice drops by 3%, wheat by 6% and maize by 7%. These predictions could be optimistic. Research published in the journal Agricultural & Environmental Letters finds that 4C of warming in the US corn belt could reduce maize yields by between 84 and 100%. Then there are the structural factors. Because they tend to use more labour, grow a wider range of crops and work the land more carefully, small farmers, as a rule, grow more food per hectare than large ones. In the poorer regions of the world, people with fewer than five hectares own 30% of the farmland but produce 70% of the food. Since 2000, an area of fertile ground roughly twice the size of the UK has been seized by land grabbers and consolidated into large farms, generally growing crops for export rather than the food needed by the poor. While these multiple disasters unfold on land, the seas are being sieved of everything but plastic. Despite a massive increase in effort (bigger boats, bigger engines, more gear), the worldwide fish catch is declining by roughly 1% a year, as populations collapse. The global land grab is mirrored by a global sea grab: small fishers are displaced by big corporations, exporting fish to those who need it less but pay more. About 3 billion people depend to a large extent on fish and shellfish protein. Where will it come from? All this would be hard enough. But as people’s incomes increase, their diet tends to shift from plant protein to animal protein. World meat production has quadrupled in 50 years, but global average consumption is still only half that of the UK – where we eat roughly our bodyweight in meat every year – and just over a third of the US level. Because of the way we eat, the UK’s farmland footprint (the land required to meet our demand) is 2.4 times the size of its agricultural area. If everyone aspires to this diet, how exactly do we accommodate it? The profligacy of livestock farming is astonishing. Already, 36% of the calories grown in the form of grain and pulses – and 53% of the protein – are used to feed farm animals. Two-thirds of this food is lost in conversion from plant to animal. A graph produced last week by Our World in Data suggests that, on average, you need 0.01m2 of land to produce a gram of protein from beans or peas, but 1m2 to produce it from beef cattle or sheep: a 100-fold difference. It’s true that much of the grazing land occupied by cattle and sheep cannot be used to grow crops. But it would otherwise have sustained wildlife and ecosystems. Instead, marshes are drained, trees are felled and their seedlings grazed out, predators are exterminated, wild herbivores fenced out and other life forms gradually erased as grazing systems intensify. Astonishing places – such as the rainforests of Madagascar and Brazil – are laid waste to make room for yet more cattle. Ethan Siegel, writing and depicted below, somehow manages to combine unoriginality with being a bit of a nut. The image below is only one of his eccentric depictions of himself. Siegel has reduced the problems of education to only one factor -- albeit a factor popular among teachers. He says teachers need to be treated like professionals but that they are not. What teacher union would disagree with that? Being Left-leaning, however, Siegel has not thought to ask WHY teachers are inapty treated. To describe a problem seems to him a sufficient contribution without offering any solution to it. If you can't call "racism" as a response to some problem, Leftists are stumped. And for anybody with experience in the education sector, the reason for the situation is obvious: Most public school teachers are dummies. Except for a few dedicated souls, those who teach are those who could get no other work deserving of a college education. A bright graduate will look to teach only as a last resort, and will very rarely drop to that last level. The "Teach for America" system is an explicit recognition that bright graduates typically don't go into teaching. OK. That's the first part of the explanation. Now we ask WHY teaching is such an unattractive job in most places today. It helps to answer that to consider some places where teachers are high quality -- say South Korea. Teachers there mostly have higher degrees and are something of an elite. How come? Because teaching has long been a rewarding and prestigious occupation and there is nothing in South Korea to disrupt that. Even from ancient Sumeria we have a depiction of a parent giving a teacher a fleece -- a bit better than an apple for the teacher. And who would want to work in that environment? Only those with no other options. So as older teachers retire, classrooms have been left in the hands of people with very little in the way of educational achievement themselves. Politicians talk about demanding that admission to their teacher-training colleges include only candidates with good GPAs etc but if they insisted on that, they would soon run out of teachers. The ultimate dream of public education is incredibly simple. Students, ideally, would go to a classroom, receive top-notch instruction from a passionate, well-informed teacher, would work hard in their class, and would come away with a new set of skills, talents, interests, and capabilities. Over the past few decades in the United States, a number of education reforms have been enacted, designed to measure and improve student learning outcomes, holding teachers accountable for their students' performances. Despite these well-intentioned programs, including No Child Left Behind, Race To The Top, and the Every Student Succeeds Act, public education is more broken than ever. The reason, as much as we hate to admit it, is that we've disobeyed the cardinal rule of success in any industry: treating your workers like professionals. * and a vision for what a class of properly educated students would be able to know and demonstrate at the end of the academic year. Yet despite knowing what a spectacular teacher looks like, the educational models we have in place actively discourage every one of these. The first and largest problem is that every educational program we've had in place since 2002 — the first year that No Child Left Behind took effect — prioritizes student performance on standardized tests above all else. Test performance is now tied to both school funding, and the evaluation of teachers and administrators. In many cases, there exists no empirical evidence to back up the validity of this approach, yet it's universally accepted as the way things ought to be. Imagine, for a moment, that this weren't education, but any other job. Imagine how you'd feel if you found yourself employed in such a role. Requiring teachers to follow a script in a variety of educational settings is one of the surest ways to squash creativity and kill student interest. It is a more widespread practice than ever before. You have, on any given day, a slew of unique problems to tackle. These include how to reach, motivate, and excite the people whose education and performance you're responsible for. It includes imparting them with skills that will enable them to succeed in the world, which will be vastly different from state-to-state, county-to-county, and even classroom-to-classroom. Gifted students, average students, special needs students, and students with severe disabilities are all often found in the same class, requiring a deft touch to keep everyone motivated and engaged. Moreover, students often come to class with problems that place them at a competitive disadvantage, such as food insecurity, unaddressed physical, dental, and mental health issues, or home life responsibilities that severely curtail their ability to invest in academics. If your goal was to achieve the greatest learning outcome possible for each of your students, what would you need to be successful? You'd need the freedom to decide what to teach, how to teach it, how to evaluate and assess your students, and how to structure your classroom and curriculum. You'd need the freedom to make individualized plans or separate plans for students who were achieving at different levels. You'd need the resources — financial, time, and support resources — to maximize the return on your efforts. In short, you'd need the same thing that any employee in any role needs: the freedom and flexibility to assess your own situation, and make empowered decisions. In public education, if teachers do that, they are penalized to an extraordinary extent. Passion is disincentivized, as whatever aspects your passionate about take a back seat to what will appear on the standardized test. Expert knowledge is thrown to the wayside, as curiosity and engagement is seen as a distraction. A vision for what successful students look like is narrowed down to one metric alone: test performance. And a teacher's evaluation of what skills are important to develop is treated as less than nothing, as anything that fails to raise a student's test score is something that everyone — the teacher, the school, and the student — are all penalized for. If this were common practice in any other industry, we'd be outraged. How dare you presume to micromanage the experts, the very people you hired to do a difficult job full of unique challenges to the best of their abilities! Yet in education, we have this unrealistic dream that a scripted, one-sized-fits-all strategy will somehow lead to success for all. That we can somehow, through just the right set of instructions, transform a mediocre teacher into a great one. This hasn't worked in any walk of life, and it doesn't work in education. If we were serious about improving the quality of public education in this country (or any country), we wouldn't focus on a one-size-fits-all model, whether at the federal or state level. We would fully fund schools everywhere, regardless of test scores, economic concerns, or teacher quality. We would make a concerted effort to pay desirable wages to extremely qualified, expert-knowledge-level educators, and give them the support resources they need to succeed. And we'd evaluate them across a variety of objective and subjective metrics, with any standardized testing components making up only a small part of an evaluation. The most important goal of an education is something we rarely talk about: the set of skills and the capabilities of thinking and problem solving that a student acquires. Part of what makes an adult successful in this world is the unique toolkit they have for approaching, attacking, and defeating the challenges they face in this world. A diversity of experiences and methods among the population is a great way to ensure that more problems can be solved; absolute uniformity is as bad for human society as monoculture is for agriculture. 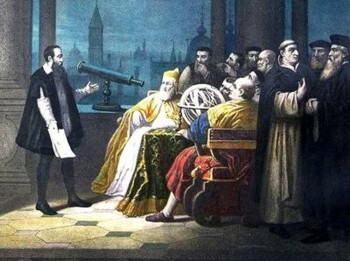 The greatest advances in science and society have come about because of the unique backgrounds and approaches some of the greatest minds in history possessed and utilized. Unless our goal is societal stagnation, we need to encourage creativity and excellence, not only in our students, but in our educators as well. Like any job involving an interaction with other people, teaching is as much of an art as it is a science. By taking away the freedom to innovate, we aren't improving the outcomes of the worst teachers or even average teachers; we're simply telling the good ones that their skills and talents aren't needed here. By refusing to treat teachers like professionals — by failing to empower them to teach students in the best way that they see fit — we demonstrate the simple fact that we don't trust them to do a good job, or even to understand what doing a good job looks like. Until we abandon the failed education model we've adopted since the start of the 21st century, public education will continue to be broken. As long as we insist on telling teachers what to teach and how to teach it, we'll continue to fail our children. The big Zapper (Chris Zappone) argues below that some speech can destroy democracy. But he fails to identify a single anti-democratic utterance coming from those he disapproves of. What, for instance has Milo Yiannopoulos said that undermines democracy? Nothing that I have heard. So Zappone relies on mischaracterizations in the routine Leftist way. He says the "Alt-Right" groups he disapproves of advocate racial superiority. Yet the most prominent spokesman of such groups -- Yiannopoulos -- is married to an African man. Not much white supremacism or racism there! He also refers to restrictions on immigration from some Muslim countries as undermining democracy. How? How does that prevent the existing population from voting? Most countries have immigration restrictions. Are they all undemocratic? Basically, the zapper seems to be defining democracy as "arrangements that I approve of". He shows no connection at all between current alt-Right public utterances and any threat to selective voting. He just asserts it. He has no intellectual depth whatever. But what do we expect from a Fairfax journalist? Somewhat lost in the chaos of the past year is a shift in language that has profound implications for open democracies. Fringe extremists, nationalists and racist groups have tried to portray their cause as a battle for "free speech." The most famous example, so far, has been the Unite the Right rally in Charlottesville, Virginia in which alt-right and other extreme right groups gathered, in an event that turned violent, leaving one counter demonstrator dead. Some of Milo Yiannopoulos' most provocative events have been staged under the banner of "free speech," a claim repeated to defend his visit to Australia. Part of today's political crisis stems from this cultivated confusion that conflates freedom of expression with extremist ideas such as racial superiority, or blanket bans on people based on their religion (as long as it's Islam). Ideas, in other words, that are frankly incompatible with a modern democracy. People are free to argue whatever idea they please – that's free speech. But if they're using the idea of free speech as a shield for actions to divide and drive wedges into society overall, it's conspiracy. I would have thought it was affirmative action advocates who are playing the race card. Trump is opposing use of race in admission decisions. The writer below pins his argument about the evilness of Trump on blacks being under-represented in tertiary colleges. But what does that prove and why is it bad? To the race-obsessed Leftists it is obviously bad but people not concerned about race might simply say: "That's the way the cookie crumbles" and leave it at that. One wonders at the poor grip on reality of the writer below. He also hates on the greater presence of the rich in universities. High income earners do tend to be brighter and that is hereditary so their children are much more likely to meet the criteria for college admission. Only a Communist society could change that but even the Soviet union had a distinct favoured elite -- The Nomenklatura. So when will the galoot below accept that all men will NEVER be equal? He will never accept it because it goes against his Leftist religion. Once again, Donald Trump pummels reality to please his base. As often, his cudgel is race. His Justice Department, The New York Times reports, is investigating colleges, including Harvard, whose admissions policies supposedly disfavor whites and Asians to benefit blacks and Hispanics. This is perverse, for the evidence shows that those minorities continue to be underrepresented on American campuses. Indeed, in the last 35 years this gap has widened. A comprehensive study by the Times shows that the percentage of black freshmen at elite schools is virtually unchanged, and that the increase in Hispanics has not kept up with their growth rate overall. The same holds true at top liberal arts colleges and public flagship universities, including the University of California in America’s most diverse state. In 2003, the Supreme Court found that promoting diversity on campus is a legitimate consideration in admissions policy. But according to the Department of Education, since that ruling we have seen little progress. As of 2014, the African-American population in four-year colleges had risen 1 percentage point, to 13 percent, over the preceding decade. Hispanics were up only a little more. Yet Trump’s DOJ, according to the NAACP Legal Defense and Educational Fund, is “attempting . . . to achieve what they have not been able to do with the Supreme Court” — discourage affirmative action. His campaign thrived on deliberately stoking racial anxieties and resentments. Surveys show that a belief that whites are treated unfairly is a powerful predictor of support for Trump. Similarly, his adherents are more likely to feel that the growth of racial or ethnic groups is negatively affecting our society. These feelings pervade the GOP electorate. A 2017 survey showed that 43 percent of Republicans believe there is significant discrimination against whites, whereas only 27 percent of them believe the same for blacks. As Thomas Edsall spelled out in the Times, Trump benefits from a “white identity politics” among voters who want the advantages they imagine accrue to minorities. Now Trump’s presidency is reeling. His attack on affirmative action on campus is red meat for white people, demonstrating he will correct the passion for diversity which, his followers believe, limits white opportunity by skewing college admissions. Thus does bigotry bury what, for the GOP, is a highly inconvenient truth. According to The Washington Post: “At 38 top colleges in the United States, more students come from the top 1 percent of income earners than from the bottom 60 percent.” It is income inequality, not race, that disadvantages lower-bracket whites. But for Republican ideologues and cynics, reverse discrimination in admissions is a politically potent myth, energizing the base while providing cover for policies favoring the wealthy. Nowhere is this pernicious stalking horse more empowered than among Republican judges on the Supreme Court, to whom Trump will ultimately look to banish affirmative action. This excruciating platitude does not withstand exposure to the world as it actually exists, including in college admissions. Such banality is, perhaps, to be expected from a smug country clubber, smiling benignly at the waiter who has just served up his favorite single malt scotch. But from America’s chief justice, it drives rulings that serve the ideology and electoral interests of the GOP at the cost of justice for minorities. This effort is epitomized by Fisher v. University of Texas, the most recent challenge to affirmative action before the Supreme Court. At issue was a modest plan allowing the university to consider race as one of many “plus factors” in some students’ admissions decisions. The white plaintiff conveniently overlooked that of the 47 students admitted with lower grades and test scores, 42 were white. A narrow majority of justices upheld the Texas program. Seriously? Does Roberts really imagine that this is about the principles of physics? What about those disadvantaged students — minorities and the poor — who the university sought to help? Or what students of all backgrounds experience as part of a diverse student body? His calculated obtuseness exposes the GOP’s attack on affirmative action for what it is — a callous sham. But there Roberts remains, awaiting the next attack, which beyond doubt will be supported by Donald Trump. It is a common situation in Australia and elsewhere for a new Leftist government to implement big new spending policies without raising taxes to pay for them. New welfare programs are popular but new taxes are not. So the Left just borrow the money and pile up debt year after year. And it is left to the next conservative government to clear up the mess. In 2007 the Labor party inherited a treasury from the conservatives that had ZERO federal debt. When they were finally booted out, the debt had ballooned to $400 billion. So in a vicious circle, a lot of taxpayer money had to go to the banks in interest payments and so made constructive spending even more difficult to fund. IT’S a tiny figure of a few decimal points but it represents a change the Government says will save taxpayers billions of dollars over a few years. In fact, the savings could reach $1 billion a year, Treasurer Scott Morrison will argue today. The Treasurer will release the Midyear Economic and Fiscal Outlook (MYEFO) — the half-yearly progress report on the Budget delivered last May. The updated calculations will highlight a projected fall in government debt, compared to the total announced in the Budget. That debt currently stands at just over half a trillion dollars and has steadily been rising. But today, the Government will boast that by keeping “expenditure under control” it no longer has to borrow to pay for the recurrent bills of the business of government such as wages. Its new calculations raise the prospect of a $40 billion cut in debt over 10 years, a reduction necessary for Prime Minister Malcolm Turnbull to fund in part at least promised income tax cuts and massive tax relief for big business. Net debt is now expected to peak next financial year — in 2018-19 — at 19.2 per cent of GDP, or national output. This would be a 0.6 percentage point improvement on the 19.8 per cent forecast in the Budget. And the difference amounts to $11.9 billion. The Treasurer will forecast that in three years gross debt will be $2.3 billion lower than calculated last May. The smaller debt will mean the Government’s interest bill will be lopped by $2.3 billion over three years, reaching $1 billion a year in savings by 2020-21, the Treasurer will announce. Mr Morrison said in a statement yesterday the MYFO figures would show the Government was “deliver on our prudent and responsible economic management, staying the course to keep expenditure under control and return the Budget back to balance”. “We are making real headway, bringing down our expected gross debt by $23 billion, meaning lower interest payments of up to a billion dollars a year,” he said. “In the years ahead we intend to make further progress on bringing down the debt as we get the Budget back into balance as promised. Mr Morrison said the debt reduction this financial year was the equivalent of putting the national grocery bill on the credit card. “Our responsible budget management means we are now in a position to no longer be borrowing to pay for everyday [recurrent] expenditure, like schools funding, Medicare and welfare, a year earlier than forecast,” he said. The poll conducted over the weekend shows the major parties have not shifted since the last poll held between November 30 and December 3. The Greens remained steady on 10 per cent while One Nation dropped a further point to seven per cent. They read far and wide and still find puzzles. And only a conspiracy theory explains who so many bad things happen for no apparent reason. So only a theory of bad men secretly getting together to do bad things fits the facts as they know them. The article below first appeared in the NYT just over a year ago (Nov. 18), when it generated a furore among Leftists. Why? It is a very level-headed article and in fact hits on the very issues which led to the triumph of Trump on Nov. 8. He is essentially an old-fashioned Leftist who thinks that the Democratic party needs to stick to traditional Leftist themes if it wants to win power and do good. It is what he criticizes that led to fury, however. He points out quite logically that the current Democrat obsession with identity politics cannot win a majority. Focusing on homosexuals, feminists, blacks etc. simply leaves out the great majority of people who are not part of those minorities. Mainstream people will tend to feel left out and will look to someone who includes them. The Left talk about inclusion but their version of inclusion tends to exclude the majority. Leftist "inclusion" consists of forcing minorities down the throats of the majority, with no concern about how the majority might feel about that. As Lilla said, the majority did feel left out and looked for someone who spoke for them: Donald Trump. So why did that very reasonable and much needed message arouse so much rejection among American Leftists ("liberals" if you like)? I think a major reason is in the tone of the article. There is no rage and hate in it. It is just calm and considered. It could mostly have been written by a conservative.